Buy and Download > Description This second edition of the very popular and rare title 'Belt and Bucket Elevator Design' consists of even more details to use in the industrial design engineering, fabrication and care of belt and bucket elevators. Critical information and engineering decision detail has been added on bearing selection, shaft seal, belt tension, dust extraction, hazardous applications, drive selection and more on proper use and care for operators and maintainers. The first edition covered a good amount of design engineering detail and calculation. It ended with additional operating and maintenance information to provide a more complete understanding of the use of belt bucket elevators used for bulk material handling equipment. 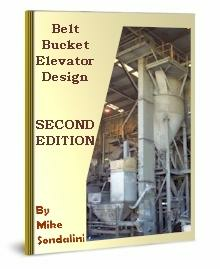 This second edition adds more detail and information on many of the numerous other industrial design engineering decisions to be made when building and maintaining belt bucket elevators. The format of this edition remains unchanged. The bucket elevator design information is presented first followed by important information on the other factors that influence its successful industrial design, use and care. 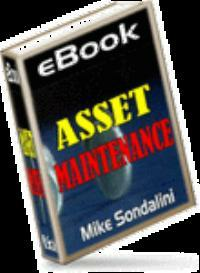 The author gives valuable knowledge about his experiences with bucket elevators. Bucket elevators lift bulk materials from one level to another and function well when designed properly for the duty, and are used as designed. Since bucket elevators are used on powders, granules, grain, chip shaped products, lumpy materials and hazardous material handling, problems can occur. Mike notes possible remedies in his ebook.